description A half-length portrait of a blonde woman seen in three quarter face view with her head turned to the left; her long hair is partly pinned up behind her, her eyebrows are plucked and she wears red lipstick and earrings with a grey, v-necked dress. 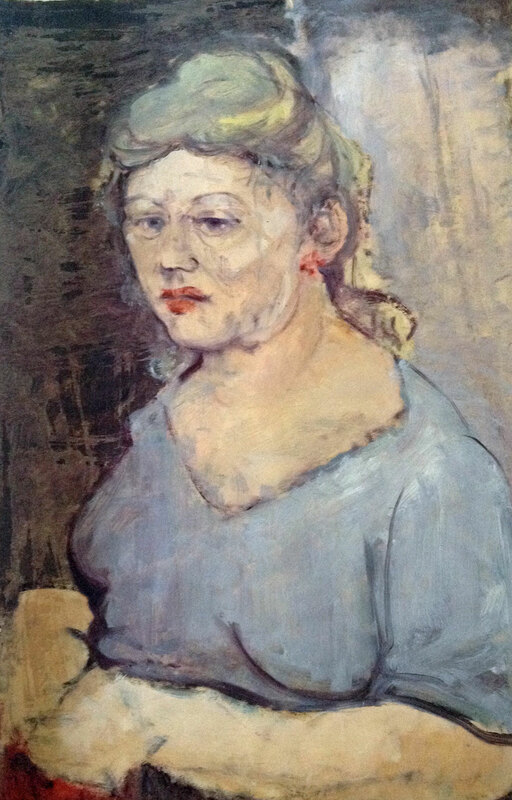 This may be the work exhibited under the title 'Prostitute' at the East End Academy in 1956, which provoked an impassioned review from the critic Mervyn Levy: 'Eva Frankfurther is now an established feature of the East End Academy and her shrewd study of a harlot ... marks her again as a painter of real distinction. She has insight, considerable technical ability, and the power to fire empathy in the spectator. We feel her harlot as she is - brutal, lascivious, meek, warm, humorous, vulgar, generous, crudely voluptuous, ugly, stinking of scent and fags and more worthy of Christ than a Bishop. Here is the pure "outsider" - the knowing one, and the humble one, too wise and too holy in her winding sheet of supreme knowledge for the human filth who straddle her. It is a picture that can fire intense feeling and quicken vigorous thought. It is a sociological masterpiece.' 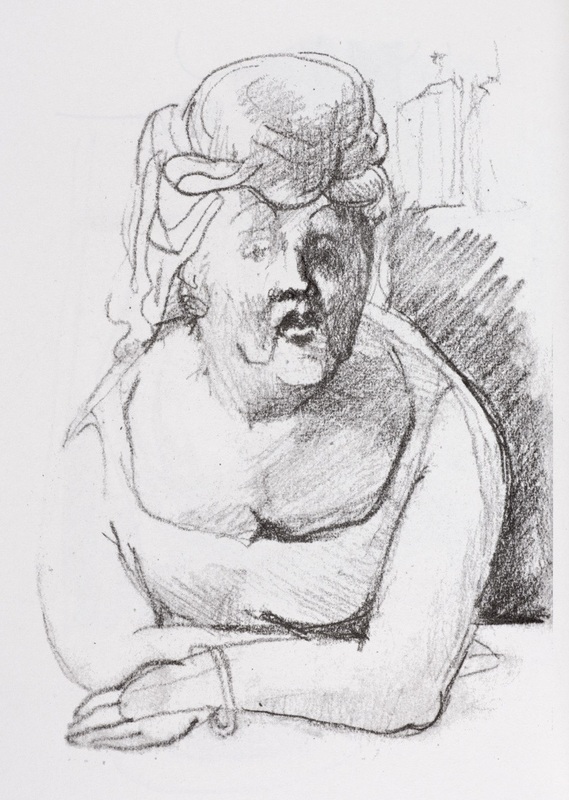 The same sitter appears in the drawing 'Prostitute, Seated'. exhibition history (Probably) 'The East End Academy', Whitechapel Art Gallery, 77-82 Whitechapel High St, London E1 7QX, 1956, (60), 'Prostitute', £5. literature M. Levy, 'Art News and Review', VIII, no. 25, 5 January 1957.